Yesterday, while I was cleaning our formal dinning table… I had to walk between the table and our china hutch. Well, the space between the two is a little tight and I ended up ramming my right pinky toe into the corner of the china hutch. This then caused my toe to move outward and began to hurt quite badly. As it swelled, I felt the side of it and realized that it was broken. Immediately, Bradley helped me to secure an ice pack to my toe with an ace bandage. As you can see, it was quite the site. We tried to search online for what I could take that night to reduce the swelling and help me to sleep. We ended up calling a Pharmacist to ask them if it would be ok for me to take Ibuprofen for the swelling and Unisom to help me sleep. The Pharmacist said that it would be alright… so I did. Well, the Ibuprofen did help with the swelling of my toe and the Unisom helped with my sleep, however… the Unisom made my face puffy the next day. 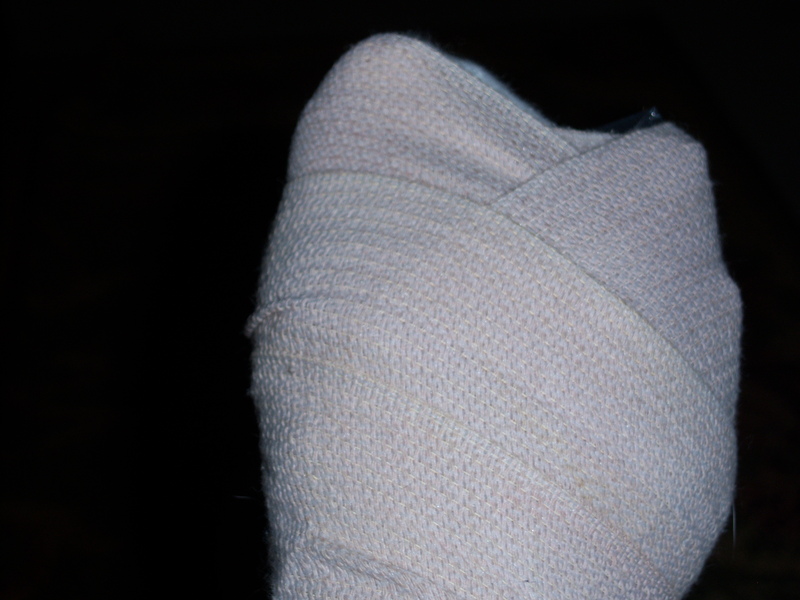 So, I had an unswollen foot with a swollen face, lol… go figure! This evening, one of our good friends (Billy) is coming over and I am a bit bummed because I won’t even be able to get up to greet him. Bradley has created a set up for me on the couch. I have access to the internet and the television. Right about now, I am grateful for our couch because the seats all recline. What a blessing! Today, the part of my foot that hurts the most is the ball area where the pinky toe is. If I put any pressure on that part, I get a sharp pain. Of course, this only really happens when I am coming down stairs and luckily that is not often. I am trying to stay off of it as much as possible and keep it elevated on a pillow. The lack of circulation, however, has made my foot go cold. 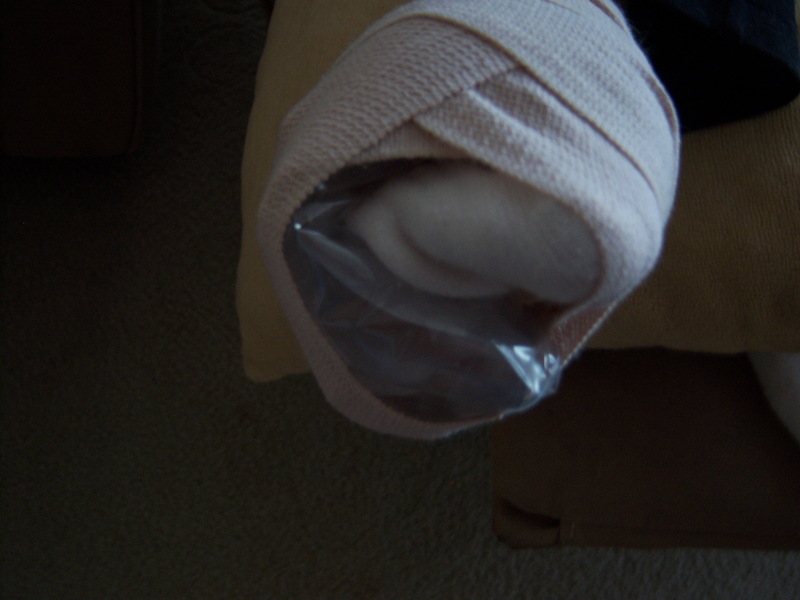 I have heard from some friends elsewhere that when they broke one of their toes, it took about a year to completely heal… YIKES! I am praying for a QUICK recovery! The ironic thing is that the night before this happened… I was talking to Bradley and saying how I needed to rest for a day or so because we have been going, going, going. Well, I suppose I got my wish, urgh! Anyway, I am going to try and enjoy the rest, the best possible. I am receiving a lot of prayers and I am so grateful for that. I appreciate you checking in on my posts and sharing your thoughts. I hope that your days are blessed and your nights are restful. They Have Arrived ~ 5 New Kittens! We had a few problems with the orange tabby when he was born… he wasn’t breathing. Mieshka wouldn’t begin cleaning him to clear the gel from his face, so I had to get a wet cloth and clear his nose and mouth area. He began to joke on the gel as he breathed it in deeply. I was so worried and began praying while I lightly rubbed his back with the cloth to try and clear his lungs. As I would do this, he would begin breathing, but as soon as I would stop, so would he. 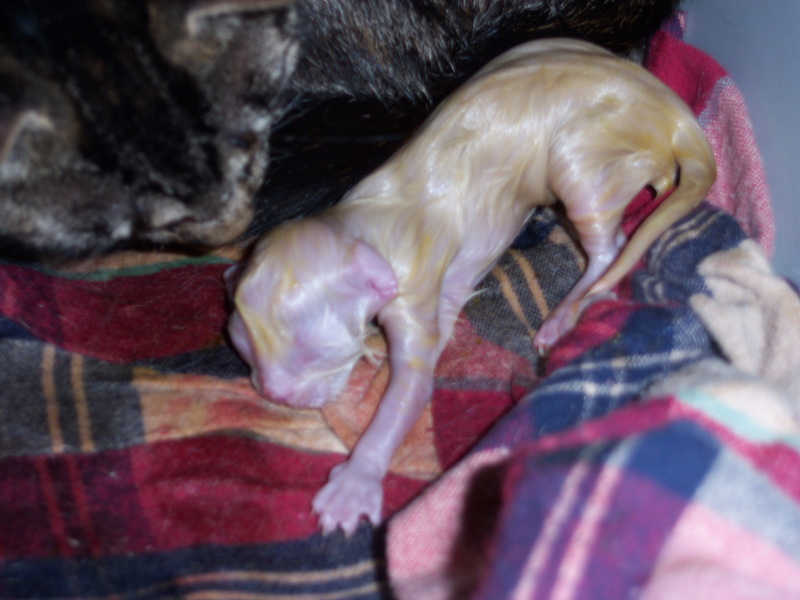 At one point, Mieshka, while he was still attached through the umbilical chord, stood up and turned around. This caused him to dangle in the air and slammed him onto the flooring as she sat back down. Well, when this happened, his neck twisted and I thought he may have just broken his neck – while he was still not breathing. Oh my gosh!!! My heart was racing and I began praying even harder and more panic like. Well, I kept working on him and eventually, she got around to cleaning him and he ended up being fine. What a relief! I just couldn’t imagine the devistation of him not making it. 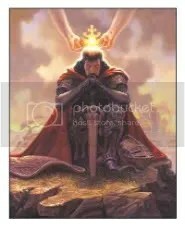 Soon after the scary ordeal, he began to behave as though he was invincible. I told Bradley that becaus he cheated death at birth, he thought he was superman! We have named him Tigger. We are still pondering the names of the others. Mieshka had 3 boys and 2 girls. 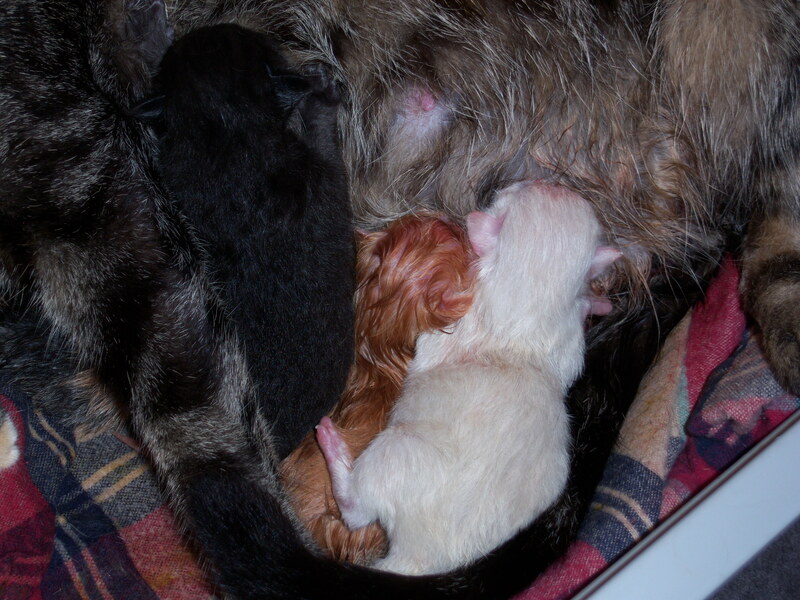 The boys are the Black one, Orange one and White one. The girls are the Calico one and the Off White one. It is hard to tell the difference on the pictures which one is the white one and which is the off white one, but the off white one is beginning to darken her features like her ears, paw pads and nose. 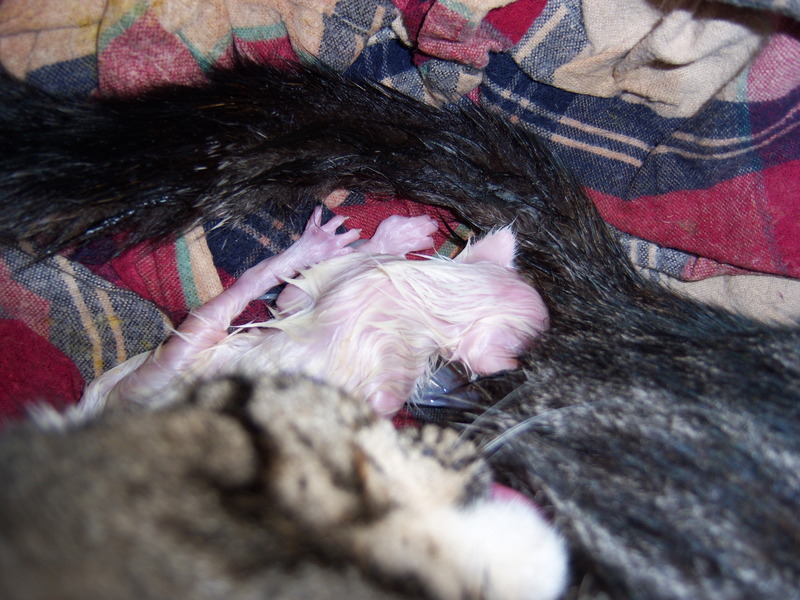 The day after they were born, we took them to the vet because Mieshka hadn’t passed any after birth (our previous cat did after having kittens). Well, he took an exray and said she was fine and that there didn’t seem to be anything more to pass. They also gave her a pill to get rid of the flea-tape worms. We had gotten rid of the fleas just in time for her to have her babies, thank the Lord! Now, she doesn’t have the tape worms either! At present, we have them in a plastic tub in our bathroom. Mieshka likes it there because no one bothers her. Bradley has been picking up the babies a lot and she is not too fond of that, but they are getting better about crying now. The vet said that she had a full bladder and she really needed to pee, so as soon as we brought her back home, I put her in the litter box and made her pee. 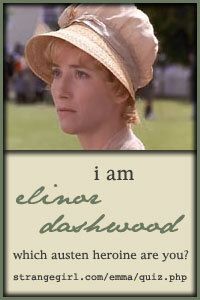 Ah, she was so relieved – I could see it in her face. 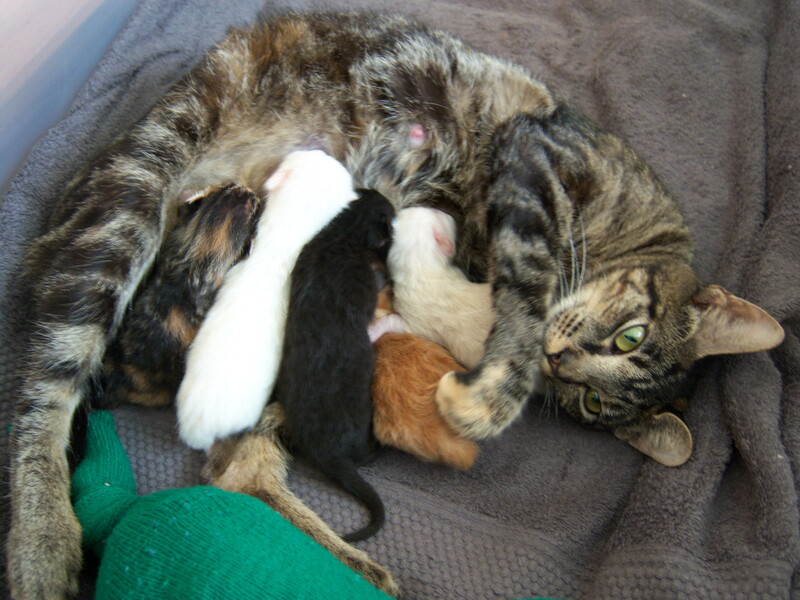 Now she knows that she can leave her babies for moments to eat, drink and go to the bathroom without worrying. She seems to prefer to do those things when I am in there because if her babies stir, I put my hand over them to give them warmth and they calm down. We still have a baby monitor in there so that I can hear them. A couple of times, Mieshka has laid on one of them and they scream. When they get a bit bigger and can see, we will let them into our bedroom. 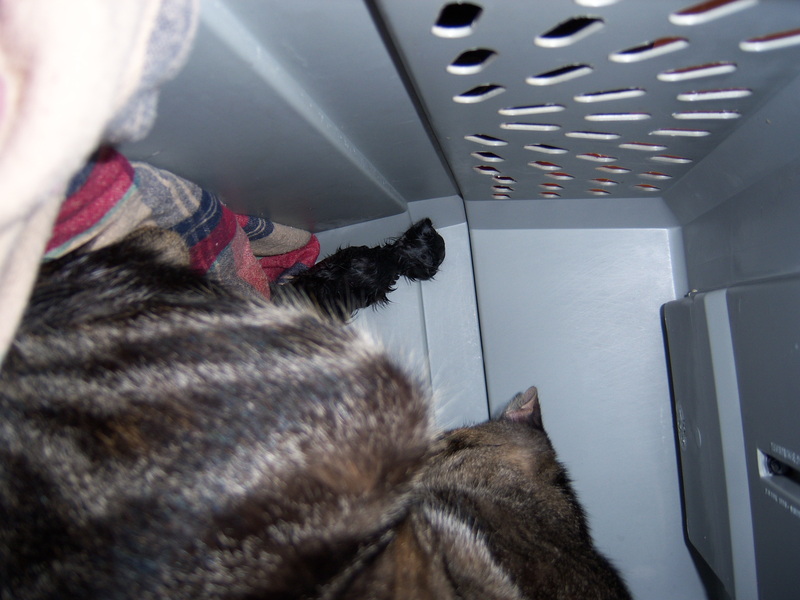 Then after a little while, when they are ready, we will introduce them to our other kitties. I am so happy to have them. They are such little blessings. I will try to take more pictures and share them with you here as the get bigger. I may check with Bradley on how to set up a webcam and upload some video of them on Youtube. If I do, I will post that here too. So, I hope that you enjoy the pictures. If you have any name ideas, please feel free to share them. I was thinking of maybe naming the off white girl “Winnie” because I like Winnie the Pooh and Bradley named the orange tabby “Tigger”. What do you think??? The calico girl is very docile and gentle, she is very quiet too. The black one is the biggest in the bunch. Also, if you have any fun kitten stories, I would love to hear them! I hope that I will have many to share here as they get older. In this last picture, I am showing all of them together. 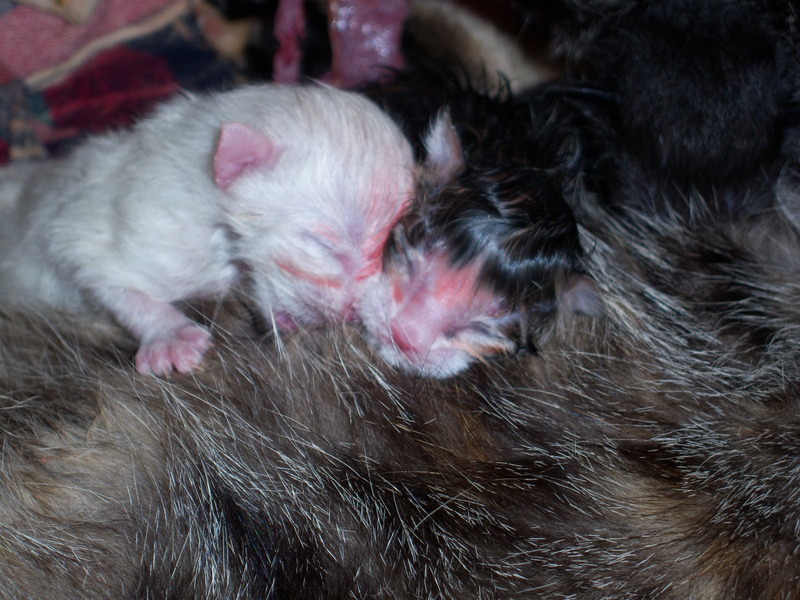 The previous pictures are of right after they were born. I will write more because I have so many more pictures to share. Please check back for updates or subscribe to be alerted as soon as I update my posts. I hope you have enjoyed seeing our new additions and I look forward to your comments. Have a wonderful day! An Inspiring Video – Must See!!! I just wanted to share this video that I found through Stumbleupon that is really great and inspiring. The dept of love this man has for his son is beyond words. The caption for the video on the site is, “Incredible video about the relationship between a father and son…. and God’s relationship with us.” Keeping this in mind while watching this video, a person would have to be completely dead inside to not be moved to the innermost parts. After watching this, I couldn’t speak for a few minutes because of the emotions it stirred. Please let me know how this video makes you feel. I look forward to your comments. Have a blessed day!